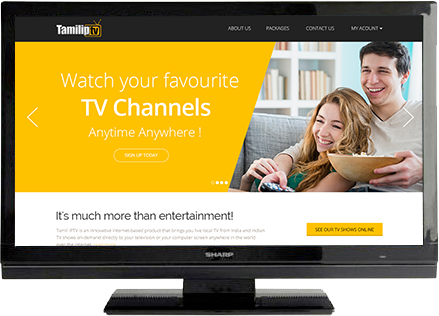 Tamil IPTV is an innovative internet-based product that brings you live local TV, Movies and TV Shows directly to your television or your computer screen anywhere in the world over the internet. Watch local daily news live, music concerts, events and movies on-demand. No downloading required. It's a 'remote control' experience no different than watching television from your cable or satellite provider. It is our hope that you will see this service as an opportunity to 'bring India home' with you and your family. Our programming selection includes live news and events, special features from some of India's finest producers, your favorite weekly local shows, music, sports, education, community-based programming, movies and more. Our programming offering continues to grow as we work closely with producers and broadcasters. It’s television from India. The viewing experience is as familiar as your cable or satellite tv. The only difference is that the television signal is delivered over the Internet. The advantage is that there are no geographic limitations. The result is that we can finally deliver you TV from India regardless of where you live to your television. You simply will not believe the picture quality. It’s television from India. 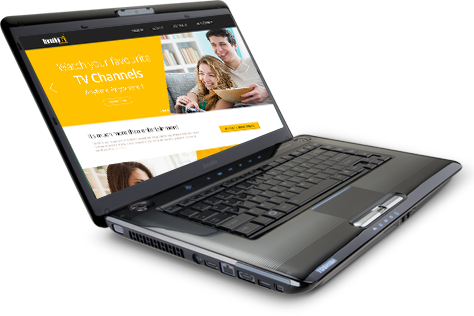 The viewing experience is as familiar as your cable or satellite tv. The only difference is that the television signal is delivered over the Internet. I bought Tamil IPTV, installed it (easy), Please let me know when you have fox soccer available. I’ll appreciate you! You guys rock! I just bought a Tamil IPTV, and I’d like to let you know how happy I am with it in my first five minutes. Anyway, everything seems to be working well, and much better than I’m used to. So – thanks for a fantastic service! You guys are the BEST ! As an international TV channels provider, Tamil IPTV is a good service. Satellite TV is forbidden in some cities, but using Tamil IPTV is a perfect work around. Pretty cool. Thank you very much – issue resolved. The product is running perfectly and does exactly what it is advertised to do. Absolutely great customer service – I’ll be very happy to recommend your IPTV to others. Copyright © 2015 Tamil IPTV All rights reserved.